Disneyland Paris finally confirmed several weeks of rumours with an unceremonious statement on the Walt Disney Studios Park attraction’s official page: CinéMagique will close from 30th March 2017. Hidden even by a “read more” link, the words are the only public announcement of the attraction’s impending end, posted just a fortnight before its final operating day which is presumed to be Wednesday, 29th March 2017. The wording by Disneyland Paris belies an important fact: all rumour points to this being a permanent closure, even if the resort’s own support channels suggest it will “re-open” from summer 2018. In fact, from next summer a new Marvel-themed stage production is speculated by several sources to open in its place. Reports that the film-based Walt Disney Studios Park attraction could close first appeared via Disney Central Plaza forum on 25th February 2017. CinéMagique has been the park’s signature attraction for just over fifteen years, winning a THEA Themed Entertainment Association award for best attraction in 2003 and still playing to full houses of enthralled visitors today. Part film, part live stage show, it has nevertheless surpassed the longevity of any other film-based attraction or stage show in the history of Disneyland Paris. Le Visionarium lasted just over twelve years, Captain EO only six in its original life. As the show’s star George, still searching for the bags lost by his airline, leads CinéMagique along the Yellow Brick Road and into cinema history, he’s had a pretty good run. Let’s be grateful we got to enjoy this classic for fifteen years, and that it was there to practically carry the whole park during its darkest early days. Disneyland is not a museum, as Walt Disney himself apparently mused — almost every attraction will close or be reimagined at some point. Animagique, which formed a matching animation “partner” on the other side of the park, closed last year to be replaced by Mickey and the Magician, so perhaps we should have known the clock was ticking and perhaps this won’t be a totally bad thing. 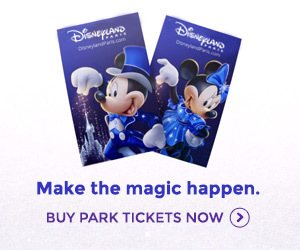 But is this really the way Disneyland Paris are going to do it? No grand announcement, no farewell season, no real chance for fans to catch the attraction for their last time ever? This is no way to treat one of your best assets, and no way to treat your biggest fans — likewise, regular visitors who might have planned to see the show will suddenly find they’re visiting a park one attraction down, and one of its best at that. Timing-wise, shuttering this 1,100-capacity Studio 2 attraction during the 25th Anniversary year — and before the resort’s actual anniversary date, when many fans will be in attendance — is a bold move. Perhaps this is what the extended Season of the Force shows (to 30th September) on the ill-fitting stage opposite are meant to cover for? Marvel Superheros to save the Studios? A Marvel stage show, possibly a kind of stunt show, could actually be an enticing proposition. But why not on any one of the number of vacant plots ready and waiting around the park? Giving the benefit of the doubt, perhaps this is the start of a real “Walt Disney Studios 2.0”, some suggest. Indeed, to expand the point, maybe CinéMagique has to close for this park to really move forward. The best route forward for the park, rather than taking us unglamorously between undecorated soundstages, is to make every footstep within the park part of a different movie. In effect, WE should become George — stumbling from one movie to another with a clean cut and totally immersive environments. No more “behind the scenes” excuses: once you step out of Disney Studio 1, you’re IN the movies and the movies are real. So can we expect a redevelopment of the Studio 2 building to follow? Summer 2018 is surely enough time for some serious redevelopment work, if not (though probably not?) completely rebuilding. Will Production Courtyard become a Marvel land just as Backlot has actually long been rumoured? Will The Twilight Zone Tower of Terror succumb to a garish Guardians of the Galaxy: Mission BREAKOUT! retheme like its Californian cousin? Or in fact, is the more likely situation that CinéMagique will just become a generic show space with the same exterior, like Animagique Theater became across the park, able to present a show based on any vaguely cinematic theme? Closing such a cult attraction with so little notice is not new for Disneyland Paris. In fact, another film-based attraction which many fans still hold close to their heart suffered an eerily similar fate. Le Visionarium, the 360-degree time travel experience in Discoveryland, closed on 5th September 2004 just several weeks after rumours first surfaced of its closure. No last hurrah, no chance to say goodbye. At the time, most fans even thought this was a seasonal closure. Just weeks later, plans emerged showing Buzz Lightyear Laser Blast taking its place. To not make a song and dance of CinéMagique’s final screenings is a truly odd decision on the part of Disneyland Paris. At a heady time when we’re fed news updates on everything down to the launch of a new cupcake, why the silence surrounding George’s sudden fate? Even if some kind of farewell event is eventually announced to celebrate the attraction’s triumphant fifteen year run, it’ll be too late for most. “The End” always has to come, but it shouldn’t have happened like this. I really share your opinion on this. I always loved Cinemagique and later today I’ll see the final show. Really, I hope the cast members will do something special… but I doubt it. This is one my favourite attractions at DLP. I certainly will miss it and only hope that perhaps they are revamping it. Cinemagique is classic. It seems in recent years, the Disney Corporation has forgotten the ideology of Walt Disney. Creativity and originality were pinnacle not buying up other corporations and place a Disney stamp on it. I understand the disappointment about shuttering Cinemagique the way it has, and how much of the studios are closed. But I find your comments toward the end about Animagique theatre just being a theatre based for any show vaguely based on a cinematic theme. Have you actually seen the show that replaced it last year? Mickey andvyhe Magician is an incredible show that rivals any WDW stage show. I went in expecting very little from it and we loved it so much we changed our plans on our last day in order to see it again.